Chateau Le Crock was the first purchase made by the Cuvelier family. They bought Saint Estephe vineyards of Le Crock in 1903. At one point in the estates history, the wines were sold under the name of Cru de Crock. Like many Bordeaux vineyard owners, the Cuvelier family got their start in Bordeaux the same way numerous other future chateau owners did, as negocants. In fact, the Cuvelier family has a long history in the Bordeaux wine trade dating all the way back to 1804. 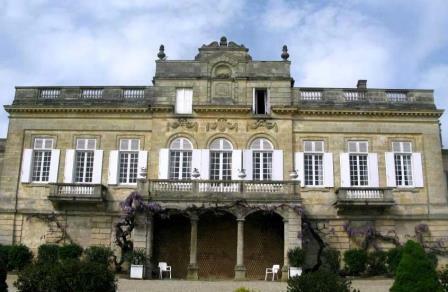 Following their purchase of Le Crock, their next acquisition was Chateau Camensac in the Haut Medoc appellation which was followed by buying Chateau Leoville Poyferre in St. Julien. Today, Chateau Le Crock is ably managed by Didier Cuvelier and Anne Cuvelier. 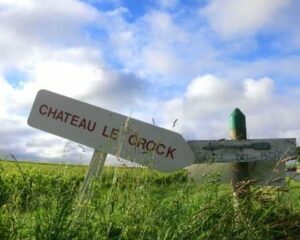 Under their management Chateau Le Crock has become one of the top Cru Bourgeois producers in the appellation. To help continue and improve the level of quality they have been producing in the region, they began an extensive remodeling and renovation of their wine making facilities that will be completed in 2016. The 32.5-hectare Bordeaux vineyard of Chateau Le Crock is planted to 53% Cabernet Sauvignon, 33% Merlot, 9% Cabernet Franc and 5% Petit Verdot. This represents a change in the vineyard as today, you find more Merlot and less Cabernet Sauvignon planted in the vineyard. They have old vines averaging close to 40 years of age. The Saint Estephe vineyards of Le Crock are situated between Chateau Cos d’Estournel and Chateau Montrose, looking east over the Gironde estuary. The terroir is a mix of deep gravel and clay soil. The Left Bank vineyard is planted to a vine density of 9,000 vines per hectare. To produce the wine of Chateau Le Crock, the wine is vinified in a combination of 8 cement vats and 14 stainless steel tanks with a 30-day cuvaison. The wine ages in 20% new, French oak barrels for an average of 18 months. 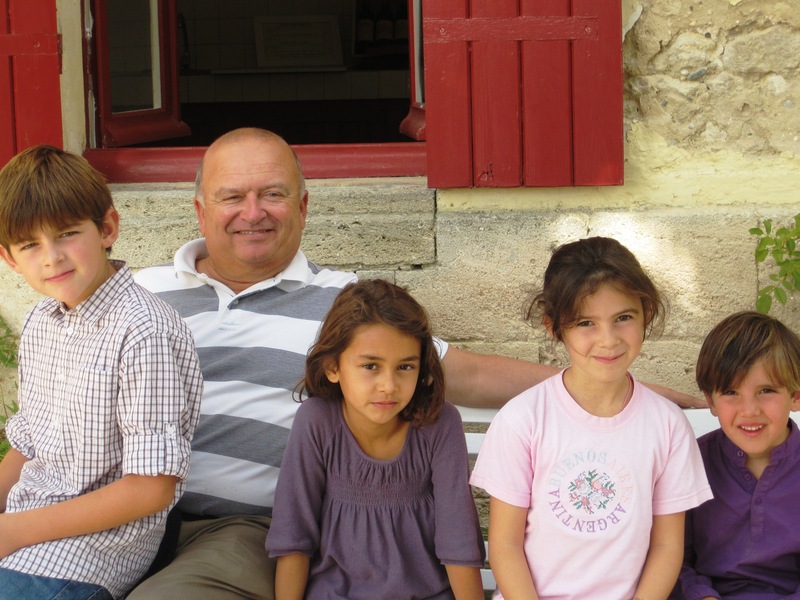 The same team that works with the families other Medoc estates including Chateau Leoville Poyferre in Saint Julien, is responsible for the wine making at Chateau Le Crock. Michel Rolland joined the team as their consultant in 1994. The Best Vintages of Chateau Le Crock are: 2018, 2017, 2016, 2015, 2014, 2010, 2009, 2005 and 2003. 2009 was a banner year from Le Crock. It is the finest Bordeaux wine from this estate I have ever tasted. In fact, it is the equal of many classified growths in this vintage. Le Crock is a perfect wine to bring to a blind tasting with more expensive wines from the Medoc. The wine is also one of my top value picks from not only Saint Estephe, but from the Medoc in 2009. 2010 could be just as good. It’s more of a matter of style as to which Bordeaux vintage is better for the St. Estephe estate. Production is on average 10,000 cases of Chateau Le Crock, St. Estephe wine per year. There is a second wine, La Croix St. Estephe. Chateau Le Crock also produces a Kosher Cuvee. Chateau Le Crock, due to its great style and ease of drinkability, is a serious contender for the top Bordeaux wine value from Saint Estephe as well as in the entire Medoc appellation. Chateau Le Crock can be enjoyed on the young side with an hour of decanting. However, the wine is usually better with 2-5 years of bottle age. Of course that can vary slightly, depending on the vintage character. In the best years, the wine will best between 5 and 12 years after the vintage. Young vintages can be decanted for an average of 1-2 hours or so. This allows the wine to soften and open its perfume. Older vintages might need very little decanting, just enough to remove the sediment. Chateau Le Crock is best served at 15.5 degrees Celsius, 60 degrees Fahrenheit. The cool, almost cellar temperature gives the wine more freshness and lift. Chateau Le Crock is best served with all types of classic meat dishes, veal, pork, beef, lamb, duck, game, roast chicken, roasted, braised and grilled dishes. Chateau Le Crock is also good when served with Asian dishes, hearty fish courses like tuna, mushrooms, pasta and cheese. Spicy black cherries kick in quickly. This wine is medium bodied, fresh, sweet and finishes with herbs, bright fruit and a soft, polished touch. The wine was produced from 52% Cabernet Sauvignon, 34% Merlot, 8% Petit Verdot and 6% Cabernet Franc. Spicy cassis with rich textures and cushy, polished, sumptuous tannins, this one gives you floral notes and curvy, salaciously juicy fruits with a hint of licorice in the finish. The wine was produced from 46% Merlot, 40% Cabernet Sauvignon, 8% Cabernet Franc and 4% Petit Verdot. Cherry and chocolate mint on the nose, soft, open and approachable, there is good freshness to the sweet, cocoa dusted, almost bright, red cherry finish. Le Crock is another great 2009 selling for a fair price. Located not far from Cos d’Estournel, the wine has a nose filled with aromas of berries, rocks, and spice. Round in texture, the wine finishes with dark cherry and earth flavors. This is one of the better values of the vintage. Herbaceouos, with bright red cherries, medium bodied and tartness in the finish. Spicy, fresh, tannic, firm and structured, with fresh black and red fruits, this is still young and should be better with another year or two in the bottle which should help it soften and come together. Light in style, this medium bodied, charming St. Estephe offers black frutis, spice and earth. This is not a wine to age. Starting in 2009, the quality of Le Crock took a big leap forward. Fully mature with a nose of cigar box, herbs, earth and dark red cherries. The wine is soft round and open, leaving with fresh cherries in the finish.